I've been lucky enough to spend quite a bit of time in my craft room late this week, and I couldn't wait to share this project with you that I made for Global Design Project 076. 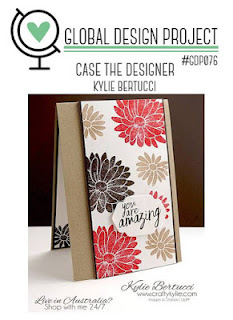 This week is a Case the Designer challenge, and we are case-ing the talented Kylie Bertucci. You can click the photo below to learn more about this challenge. Believe it or not, this layout is one I haven't tried yet! I had a lot of fun putting together some possibilities and finally decided on my this black & white creation. 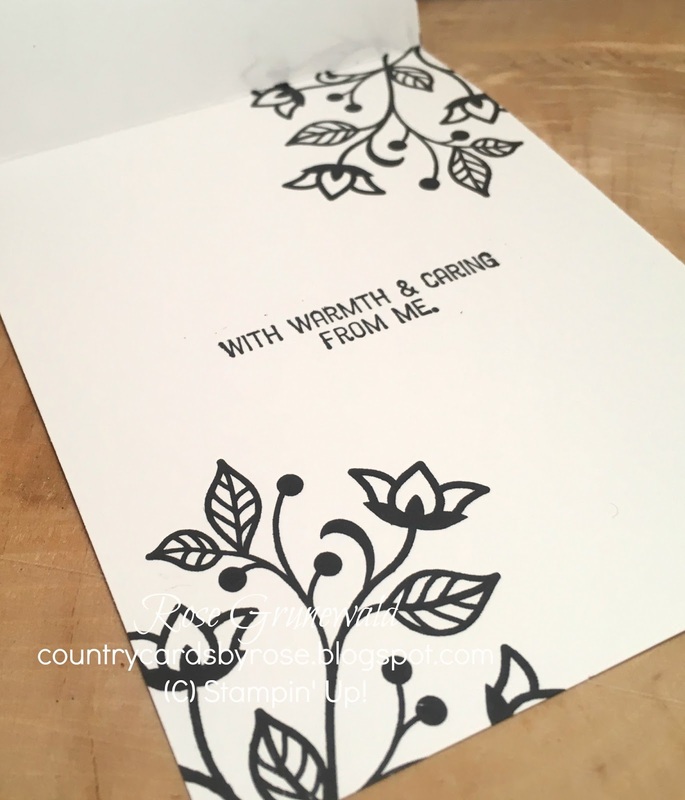 I love the sharp black and white contrast, and the Inside the Lines DSP is perfect for that crisp look on any card. I softened it a bit with some velum over the top. 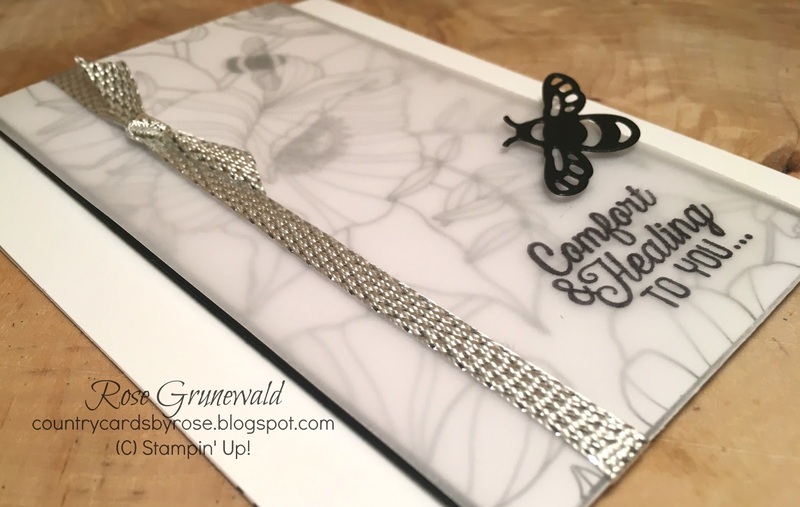 If you'd like to make this card, just follow my simple step-by-step instructions! Adhere the Inside the Lines DSP to the Basic Black piece using liquid glue. In Basic Black ink, stamp the sentiment in the bottom right-hand corner of your layered piece. Tape the ends of a piece of silver metallic ribbon behind your layered strip. With a smaller piece of ribbon, tie a simple knot around the taped piece of ribbon. This will create a “faux bow”. Using Dimensionals, attach your layered piece to the card front. 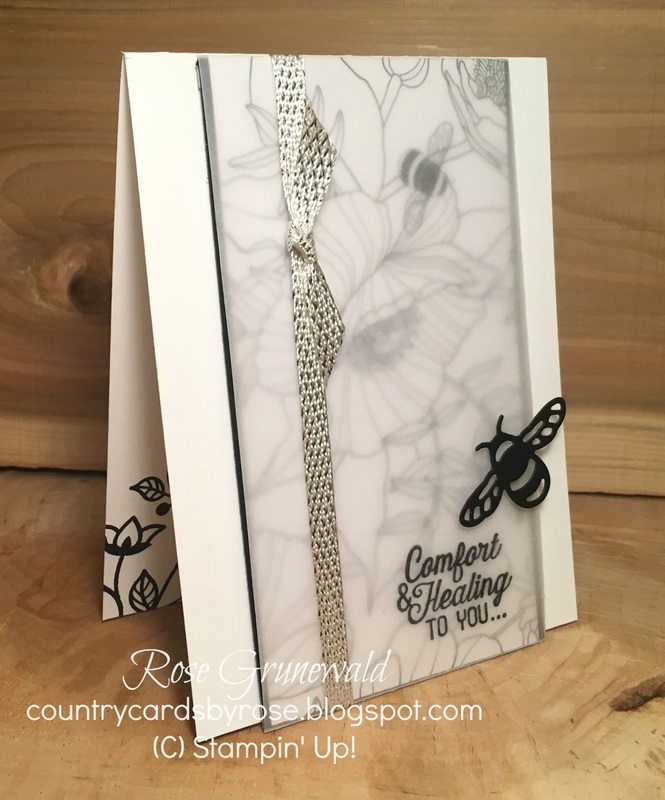 Die cut the bee in Basic Black cardstock from the Detailed Dragonfly Thinlets & attach to card front using a Dimensional. Stamp the flowers and sentiment on the inside of the card in Basic Black.